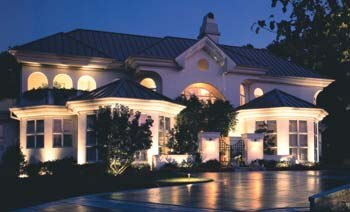 Lighting is an imperative installation within any home or business. You wouldn’t be able to see to get around a building if it lacked lighting -- let alone get anything done. Luckily, in these modern times, indoor lighting is a given, so you don’t have to fret over such a scenario . . . Unless your lighting begins to experience troubles, that is. In that case, you might be looking at the actual reality of having to navigate about your home or business with limited or even no lighting. Fortunately, though, if your lighting is experiencing any troubles, you don’t have to live in the dark. Instead, you can simply call on your local San Antonio electrician at John Jones Electric, and our team of experts will light your home or business once more with our lighting repairs and installation services! As the list indicates, many of these issues are out of your control -- and even perception. You can care for your lighting equipment as thoroughly as possible, but if any of these issues should affect your lighting, then you’ll be blindsided by non-working lights. While you can’t prevent all the issues that can cause your lighting to cease working, there is something you CAN do: call on your local electrician at John Jones Electric. We can get your lighting working like new again in no time flat with a thorough, quality lighting repair! Do you have a lighting unit that has far outlived its usefulness? Or, perhaps, do you just want more lighting in your home -- lighting that only an overhead light, not a lamp, can provide? Whatever the case may be, if you need to have a new lighting unit installed, you don’t need to try handling the job yourself. Lighting involves electricity and delicate parts, and it’s just too easy to cause serious injury to yourself or to damage your lighting equipment. Instead of taking the risk to yourself and your costly lighting setup, call on your local electrician at John Jones Electric for a professional lighting installation. Whether you need old lighting replaced, new lighting installed, or rewiring, you can count on the pros at John Jones Electric to have all the experience and know-how to handle the job correctly and, most of all, safely.